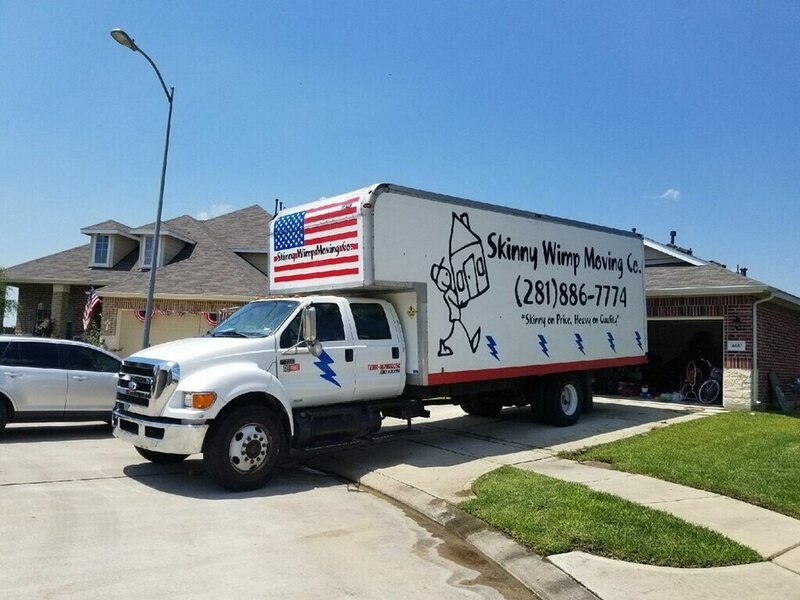 About Us - Skinny Wimp Houston - Skinny Wimp Moving Co. Despite the catchy name, you won’t find many actual skinny wimps among the crews of Skinny Wimp Moving Co. Instead, you’ll find brawny lads and lasses ready to complete careful, quick moving and storage jobs as large as entire houses or as (relatively) small as single pianos. When it comes to taking care of others, the crews’ hearts are as big as their biceps; the company’s charitable endeavors include regular donations to The Children’s Hospital and the American Cancer Society. To give our customers the best moving experience of their life through top notch customer service. We always jog while not carrying your items, this saves you time and money! Our goal is to be the hardest working, most efficient and courteous moving company ever.